The premise of escape rooms is pretty much the same. You go in, you solve a handful of puzzles and you try to get out in an hour or less. Once in a while you’ll come across a room that has an immersive element to it, for instance, there might be actors in the room alongside you to guide you throughout the room. But then once in a while, you play a room that does something completely different. 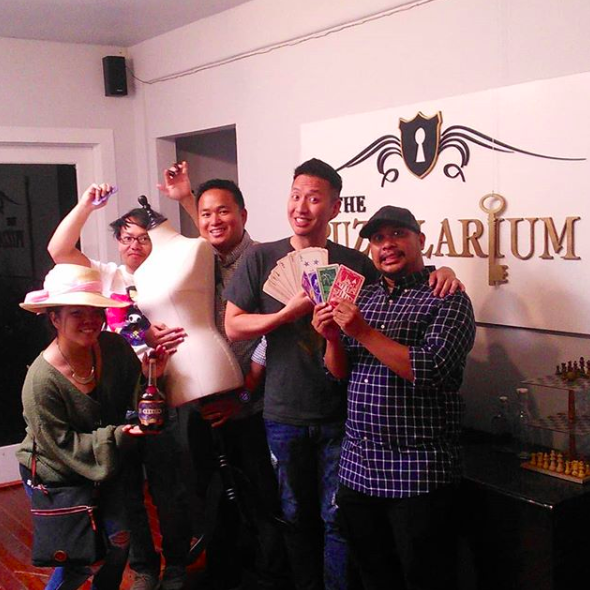 Puzzalarium in San Diego is one such room, and their Parlour room does something quite extraordinary with the concept of escape rooms. The physical size of the Parlour is not that big. It’s pretty much the size of your standard bedroom, and it’s designed nicely. When you enter the room, you’ll be greeted by a card dealer who will pretty much explain how the game works and how you can win. Remember this room has multiple routes you can take to accomplish your task. The card dealer plays a pivotal role so it’s vital that our team paid as much attention to him than the actual room. The room has dark painted walls and there are no signs of any windows. And for light, well your team is going to be pretty much reliant on just a few lamps. Overall the design of the room is well thought out and does a great job of portraying a dark and mysterious parlour. Now, where I believe the room really shines is the puzzles. When you’re first instructed on the how the game works, you’ll quickly realize that there are multiple ways to get out. Unlike traditional escape rooms, the parlour allows its players to build up points. These points can then be used to obtain different keys. The keys will then take you to another puzzle which in turn will let you obtain even more points. Once your team has enough points, you can then exchange it to get the key that will let you exit the room. The difficulty of the puzzles had a good mix of easy and difficult. Some of the puzzles we did were pretty straightforward and others left us scratching our collective heads and with this room being one where you can choose which path you want to go. it made us question if we chose the right path. Our team managed to escape with just a few minutes to spare. The room definitely challenged us and tested our brain power. And to add insult to injury, some of the puzzles that gave us trouble, our dealer ended up showing us just how simple it really was. I really enjoyed the parlour and its unique take on escape rooms. Another element that I thought was unique was that the room had sort of a side quest that your team can do to gain points. It can be really helpful if you can separate your team into two groups, one to do the main puzzles and the other do to the side quests. 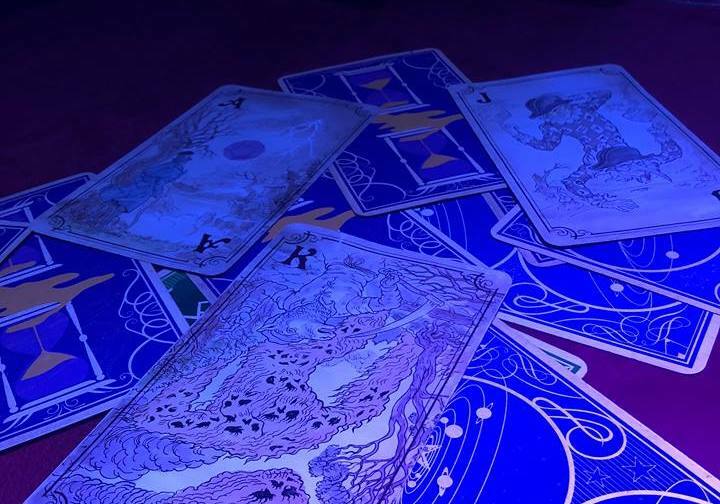 Puzzalariums’ Parlour is a game that’s a must try if you’re in the San Diego area, as it gives players a fresh new take on escape rooms.